It appears to this experienced pediatrician that the majority of human births involve a single, ultimate diagnosis. Initially healthy and appearing well, some percentage of lives will be affected by a deviation from typical development. Something may emerge at conception or any moment thereafter, that is such a significant deviation from the norm that unexpected interactions take place. The consequences are influenced by the external and internal environment upon our genes (and back). The delicate cell-to-cell interplay that has been evolving for millions of years, having been interrupted, takes a turn that results in structural, metabolic or other changes that identify the affected individual. When differences in genes are discovered, especially when the ultimate product of that gene’s function becomes apparent, we are comfortable that the cause-and-effect observation has revealed itself. However, in a condition as clearly attached to genes as Trisomy 21 – Down’s Syndrome – a whole extra chromosome – children are born with quite varying degrees of heart, gut, physical and neurologic conditions, from “mild” to “life-threatening”. Presumably, people who share the same abnormality would have a less variable disrupted pattern of development. Even in known ‘genetic’ disorders, there exists a great deal of clinical variation. A cystic fibrosis patient, for example, may present at various ages and stages of organ involvement. Medical science tends to speak of the gene that is “responsible,” even though it is only 60% to 90% positive, depending on the person’s race. I have witnessed a myriad of presentations in children with rheumatoid arthritis or the various progressions when patients have juvenile diabetes. It’s pretty obvious that environmental forces, including medical interventions, have profound effects. The manner in which a patient’s compensatory mechanisms deal with various alterations produces distinctive downstream effects. The term ‘multifactorial’ was used more commonly in previous medical discussions. It means that doctors didn’t really know why a child exhibited a certain set of signs and symptoms, but it was due to a bunch of stuff. Scientific terms such as “variable penetrance” were used to explain why one person was more affected with a condition than another. Disorders, such as thyroid problems, just “ran in the family.” The term epigenetic seems to have replaced that classification. It implies that science will discover why some gene product has gone awry. Such an explanation implies hope for treatment. In the meantime, imagine this: Take the present, expected pathways involving energy production, inflammatory response, and detoxification in a modern person who has a few teeny-tiny missing, extra, or displaced pieces of genetic information. That ‘mistake’ might not have been observable in previous human generations because the poisons that we crave were not part of our culture. And the price that we are paying for our addiction is an increase in unusual child development. There are many professionals treating behaviors that were the previously the purvey of only a few, and today’s patients who exhibit physical signs as clear as lack of speech or loss of eye contact. Dr. B. Devlin’s scientific presentation at the SFARI conference last week stressed this point. Likewise, I have been collecting information about those “teeny-tiny” genetic alterations in my practice. So far, there seems to be a significant percentage of ‘autisms’ that have this association. Small genetic alterations reported on the X chromosome, or very small, as-yet-undocumented copy number variations in the other chromosomes are considered “within normal limits”, but aren’t necessarily ‘normal’ in this toxic century. Patients with a known genetic variation have the potential to teach doctors about the observed abnormalities and unusual behaviors in ASD. This view doesn’t ignore the environmental influence, it is the way that the science is proceeding. That is frustrating, however, to the thousands of families who require answers and treatment. Medical practitioners are left with offering safe and reliable interventions to change the environmental part of the equation. That is how clinical medicine is proceeding. 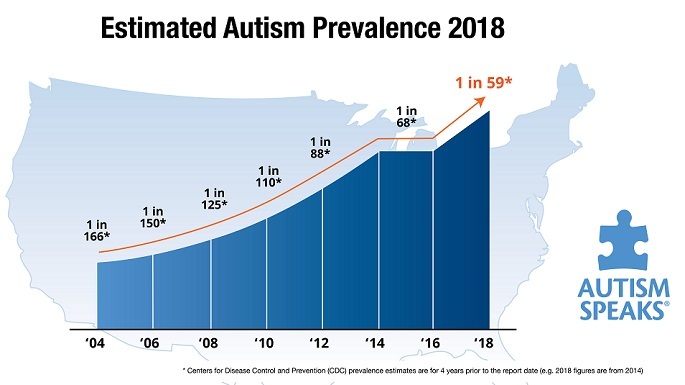 That autism is a “multifactorial condition with variable penetrance,” begs the question of why we are seeing such an increase in affected children. If asked to give an “elevator ride” explanation about the increase in autism, my advice is to answer, “Epigenetics.” Since our genes appear to be relatively stable from one generation to the next, “epi” – the environment – is a viable culprit. 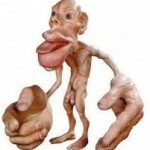 This entry was posted on Monday, May 28th, 2012 at 4:17 am	and is filed under >ALL<, Alternative and Complementary Medicine for ASD, Patient experiences. You can follow any responses to this entry through the RSS 2.0 feed. You can leave a response, or trackback from your own site.